VR invaded SXSW again this year. Here’s a look at some of the VR experiences and setups we saw during our 2017 coverage in Austin, Texas. Scouting the best in VR videos, games, hardware, and experiences. Send us your Virtual Reality or Mixed Reality (VR/MR) films, games, and interactive projects with a total runtime or recommended viewing time of 20 minutes or less. The SXSW Virtual Cinema is returning for its second year as our exhibition space for this new and exciting creative world located at the JW Marriott during SXSW 2017. 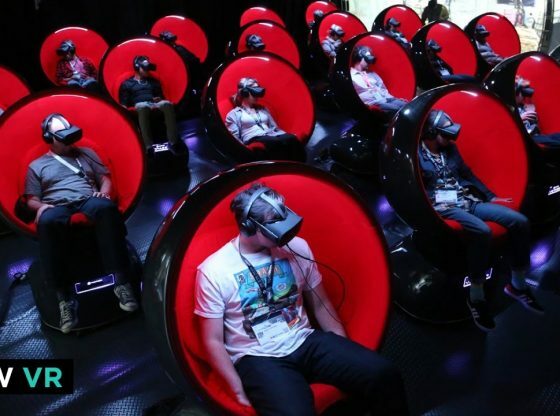 VR Film Review Spherical Cinema, Cinematic VR, 360 Films - all of these are types of the new media, which draws attention of the leading world film festivals. Our goal is to create a database of the films and festivals dedicated to this new form of art. The SXSW Virtual Cinema provides an opportunity to launch Virtual Reality, Augmented Reality, and Mixed Reality projects to our unique audiences built out of Film, Tech and Music industry leaders, as well as lovers of all things entertainment and tech. VR/AR/MR films, games, and interactive projects include a total runtime or viewing time of 40 minutes or less.